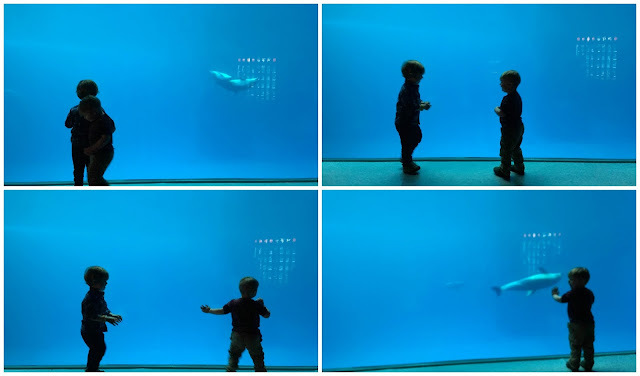 Last Friday, two friends and I loaded up the minivan with three two-year-olds, their car seats, plenty of snacks, and way too many toy trains, and drove down to Chicago for a visit to the Shedd Aquarium. Growing up, we always took an annual trip to Shedd that I looked forward to every single year. As a kid, I remember the visits being almost magical and I was so excited to continue this tradition with Callum. If you're just here for a quick recap, be sure to scroll down to the bottom of this post and watch a video of the day. This was Callum's second time at Shedd. The last time we were there, he was just over a year old and was still just a little too tiny to get much out of it. This time, I knew he would have a blast. 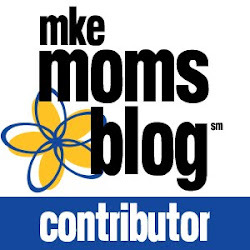 We left Milwaukee around 9:00 AM on Friday morning, and hit just a little bit of traffic. I always get a little nervous about the drive, but it really is a cinch. The boys got a little antsy towards the end, but it was nothing a sing-along couldn't solve. Parking was easy, too. There's a large lot just down the street from Shedd, and is reasonably priced (for Chicago) at $20 for the day. Since there's a large staircase leading up to the front door of the Shedd, there is a separate entrance designated for strollers and handicap accessibility. I will take advantage of this entrance for as long as possible. The lines are much shorter than the main entrance, making getting in a breeze. The second we walked in to the aquarium, the boys went crazy. They were able to run right up to the tanks and get a first-hand look right inside. I spend lots of times at museums and zoos picking Callum up to look inside, so I very much appreciate it when he's able to see everything without me breaking my back. The main floor of the Shedd features a number of smaller corridors, with the large Caribbean Reef tank in the center. The smaller sections definitely made it easier to let Callum roam around while still keeping a close eye on him. It's also the perfect set-up when you're with a group: Everyone can move around at their own pace, but you're never too far away from each other. We spent a lot of time watching all the creatures in the large Caribbean Reef in the center of the main floor. The huge tank is home to stingrays, small sharks, eels, and a large sea turtle, Nickel. At certain times throughout the day, you can watch a diver feed the animals and listen to a presentation on the exhibit. We parked the strollers right in front for the dive, and we were able to watch while the boys enjoyed a snack. The boys all-time favorite part of the visit was the Polar Play Zone on the bottom level. In the Play Zone, the boys were able to touch star fish and other sea creatures, pretend to be penguins in a giant play center (Check the video below to see Callum as a dancing penguin. ), explore a submarine, and really just run like crazy. Toddler heaven. My all-time favorite was the underwater viewing of the dolphins and the beluga whales. It was so peaceful watching the dolphins glide back and forth under the water. I could've stayed there all day, but unfortunately the boys had other plans. The aquatic show is also a must-see at the Shedd. It can get quite crowded in the amphitheater, but I don't think there's a bad seat in the space. The show gives a ton of insight in to how the dolphins, and other animals at Shedd, are cared for and trained. The dolphins also have the chance to show off their jumping skills. The next time we go, I'll think we'll try to watch the last show of the day and avoid some of the school groups that are there earlier. Our last stop of the day was a quiet stroll through the amphibian exhibit. It was totally empty except for us. This exhibit was also perfectly eye-level for the boys in the stroller. I'm not sure how, but we all managed to make it for more than four hours at the aquarium. Considering naps were skipped and there was lots of walking, the boys did a great job going with the flow and enjoying everything along the way. It just goes to show what a perfect place the Shedd is for the whole family. 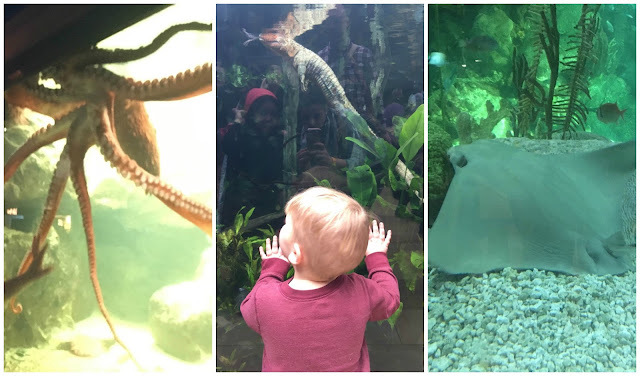 If you're a Milwaukee mom looking for a fun adventure to take with your kids, definitely make it a trip to Shedd. It will be a day both you and your kids will remember for a long time. Thanks for an unbelievable day, Shedd! We'll definitely be back soon. Be sure to watch the video below to see the boys in their element at the Shedd. And, don't leave until you watch Callum dancing in a penguin suit around the 3:30 mark. Seriously. My crazy kid dancing in a penguin suit.